Charge Blade Beginner FAQ – MHW builds! More videos and information to be added! For Charge Blade builds (armor + decorations), click here. You better not be pressing O/B/RMB 3 times in Axe mode to use SAED.. here are all the ways to perform Amped Elemental Discharge (AED), or Super Amped Elemental Discharge (SAED) when your shield is charged. *If the attack was too powerful, your character will slide a long distance and you will be unable to SAED. Block knockback can be decreased by charging your shield, blocking with Guard Points instead of R2/RT/Ctrl, and getting the Guard skill (all three effects stacking). # What is a Guard Point? At certain points during some attacks, your character will have their shield facing forward in front of them. 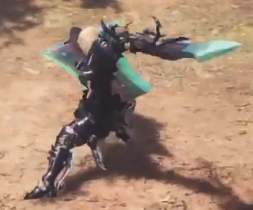 These points in the attack animation are called Guard Points and your character is considering to be blocking during them. For a full list of attacks with Guard Points and their timing, keep scrolling down. # Why should I use Guard Points? Blocking using Guard Points instead of regular blocking using R2/RT/Ctrl has several benefits. As soon as the attack begins, lasting for about 0.5 seconds. By far the most commonly used Guard Point. Can be linked to from any Sword mode attack and even from blocking, but not from Charge Phials. If linked to from Condensed Elemental Slash (Sword Charge), the Guard Point window is delayed. After the character finishes turning, lasting for about 1 second. After the character finishes the spinning slash, lasting for about 1 second. As soon as the attack begins, lasting for about 0.25 seconds. The video for guard points is misleading, “regular block” part does not block but attack a second time. Blocking the barrel explosion is no knockback and you should be able to SAED from it. anyway the point of the video is to show you can guard point to block sooner than holding guard button. the right side (guard point) is able to attack and then GP immediately while the left side gets hit. I have a question on connecting SAED after Guard Points. you can only change direction slightly (around 30 degrees) from the direction you are facing when you block/initiate SAED. So unless your back is to a wall you won’t be able to guard point SAED diablos charge. However, some jumping/charging attacks can actually be blocked from any direction, for example Teostra/Lunastra jump. So if Teostra is going to jump towards and past you, you can face backwards, guardpoint and SAED. 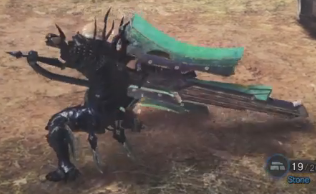 Diablos (not black) emerging from the ground also falls into this category, you can face backwards and SAED because Diablos moves forward a bit when coming out of the ground. Thank you for your prompt response. With your clarification, I have slightly more faith in knowing that I’m not doing something completely wrong.